- New Clean X2 brake clamps for 4-bolt brake mounts, developed by Spanish brand Clean, owned by Multi-time UCI World Champion Abel Mustieles. - Made from high quality 7075-T6 aluminium alloy, which offers a great balance between low weight and high strength. - Exclusive low-profile design by Clean, with large pockets that help remove some additional weight. 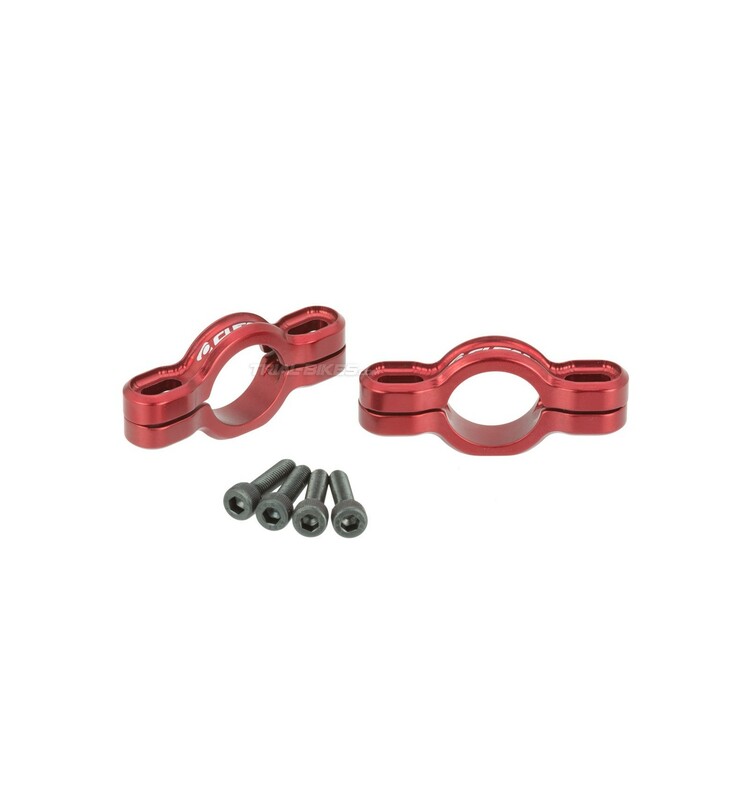 - With these brake clamps you don’t need to use a plastic washer anymore. This eases installation, so it’s simpler to adjust the cylinder’s position so that the brake pad stays parallel to the rim surface. - Supplied with all 4 necessary M5x20mm bolts, made from high quality steel. 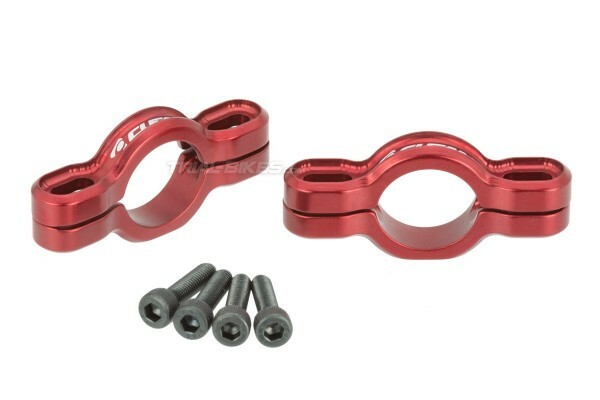 - Available in anodized red, with white laser etched Clean graphics. 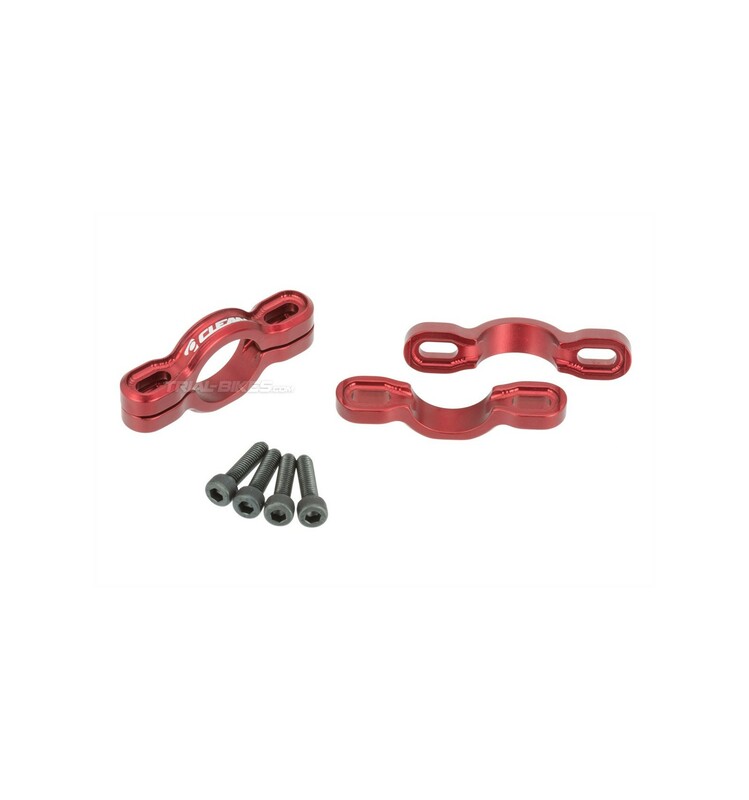 - Compatible with all frames that have 4-bolt rim brake mounts. - Compatible with Magura, Echo, Racing Line and similar brake cylinders.